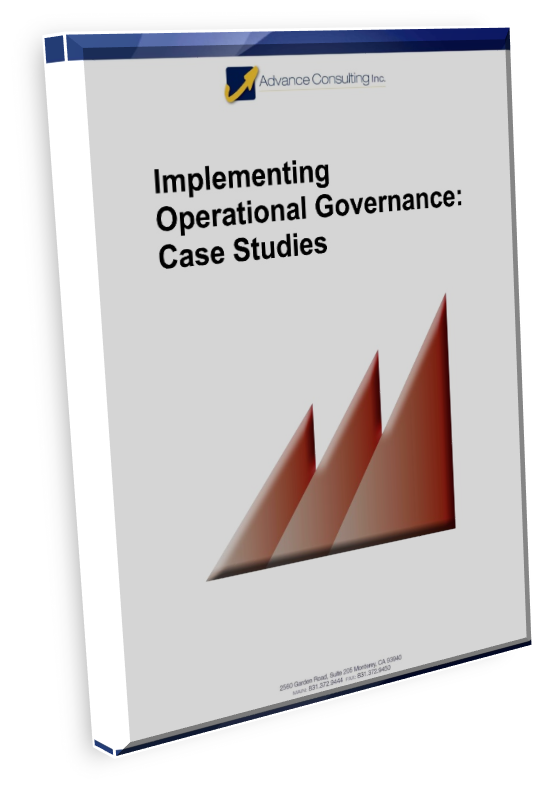 Operational Governance Case Studies Download - Advance Consulting Inc.
DOWNLOAD THE IMPLEMENTING OPERATIONAL GOVERNANCE CASE STUDIES! Read real-life examples of Operational Governance. The Implementing Operational Governance Case Studies download helps leaders and managers at all levels. Because the case studies are commonly relatable, readers will better understand their group decision making issues and understand potential solutions. The power of Operational Governance comes alive with these real-world case studies. They demonstrate how Operational Governance solves decision making problems ranging from day-to-day review and approval decisions to complex, strategic decisions. See How Operational Governance Really Works!